Une excellente adresse à Chypre! Dear Guest, Thank you for taking the time to review your recent stay at the Louis Phaethon Beach hotel. Allow us to extend our sincere appreciation for your 5-star rating. Many thanks for acknowledging the wide selection of all-inclusive cuisine on offer. We are indeed so proud of our chefs and we shall definitely tell them all about your high praises as we are sure they will add as huge inspiration for the entire kitchen team in their effort to exceed our guests' expectations. Thank you also for complementing our friendly waiters and the personalized service of our employees. The Louis Phaethon team takes great pride in providing memorable times to our guests and we are all delighted that you've experienced just that during your recent holiday escape to Cyprus. It will be a huge pleasure to meet you again therefore we sincerely hope that you will soon decide to book your holidays again at the Louis Phaethon Beach. Best wishes from all of us. Thank you The Management. Un hotel qui brille par son hospitalité! Dear Guest, On behalf of the Louis Phaethon team, we wish to extend our thankfulness for having chosen us as your recent holiday destination and for taking the time to share your feedback with us. It’s a pleasure to see that you had an enjoyable holiday and appreciated the location of our hotel. 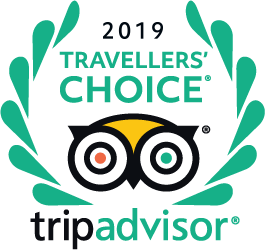 We are also very happy to hear your compliments that highlight our plentiful swimming pools, our wide variety of daytime /evening entertainment as well as our all-inclusive buffet options. We are disappointed to hear that the housekeeping standards where not to your satisfaction and we only wish that you had brought this to our attention during your stay in order for us to have resolved this for you. We would also like to mention that although a large majority of our guests are English speaking, we do have number of staff members who speak French including our front office manager as well as our head animator. Any announcements made through-out the day by our animation team are also repeated in French. Overall, we are delighted you had a relaxing holiday and we wish you many more happy holidays to come. We hope to have the chance to share some of those with you at the Louis Phaethon Beach hotel. Thank you The Management. Au niveau de l animation, existe t-il un club ado? Bonjour, l'année dernière il n'y en avait pas, du moins, pas de concret. bonjour le parc aquatique (tobogans) est il réellement ouvert sur la 2eme quinzaine d'avril ? y a t il des chambres communiquantes ? Il n'ouvre qu'en Mai. Oui, il y a des chambres communicantes. "1et ou plus éloigné de l'accueil si vous souhaitez du calme mais l'hotel est calme dans l ensemble"
"Eviter les chambres qui donnent au dessus de la réception car il y a du bruit jusqu'à 1h00 du matin"
"Évitez le rez de chaussée..."
"Les chambres côté sud donnent sur piscines et activités donc plus bruyantes. Côté nord-ouest ( entrée ) très calme"
"A éviter les chambres qui donnent sur les piscines."